Let me preface this by saying that I actually like Urban Meyer. I think he's a good coach. When I was an undergrad at Bowling Green, he was the head coach there. I always had a lot of respect for Urban even when he left to coach the Utes. He always seemed to embrace being at BGSU, and I'll always remember how fun it was that he was our head coach. 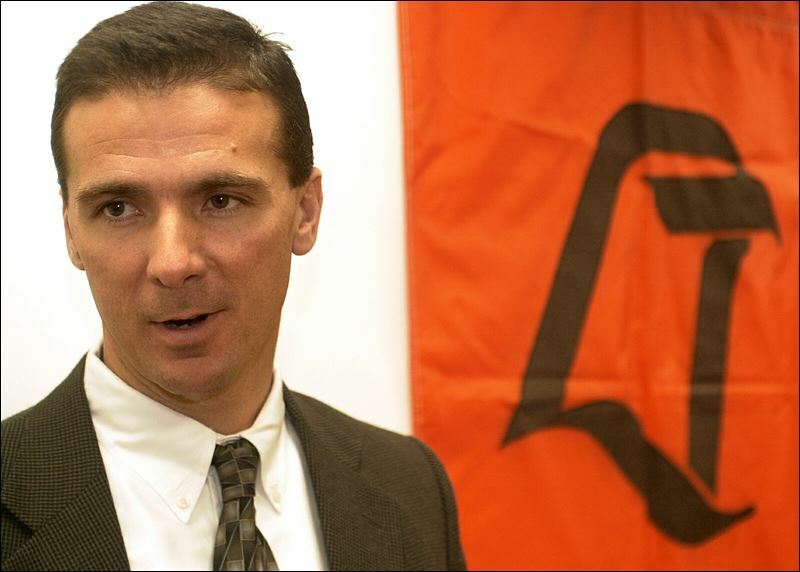 Is Urban on a return trip to Ohio? There's a lot of talk coming out of Columbus right now about Urban Meyer and his rumored "deal" he has to become Ohio State's next coach. While I do think it is a done deal in terms of they want him and he wants them...and the language of the contract is probably being smoothed out by lawyers as I type this. I must say, though, that the whole situation seems strange to me. But having just gone through two head coaching searches in the last 4 years, I've become accustomed to covering these strange exercises. Urban Meyer left Florida citing health concerns and wanting to spend more time with his family. Picking up and moving to Columbus to coach at Ohio State is not exactly what his doctor would prescribe, I'm sure. And he can forget about that precious family time he was talking about. If I'm an Ohio State fan, I'm a little cautious about my jubilation. If Meyer becomes the head coach at OSU, then it's pretty obvious he just flat out lied about his health so he could leave a Florida Gators squad sans Tim Tebow. If you want to step down because it's just not fun anymore that's fine. A coach should want to coach. But don't say it's because of your health and then take a job at maybe one of the must stressful gigs in the country. But OSU fans are so punch-drunk in love with the idea of "Urban to the rescue", that all that might not even be on the radar in Columbus. And who's hiring Urban? Gene Smith, the guy who's likely to get axed next month when the NCAA comes calling again? A year ago at this time, Michigan fans were swooning for Jim Harbaugh. All I'm saying is, be careful what you wish for. All that glitters ain't always gold.